The following is from Diarrhoea and vomiting caused by gastroenteritis: diagnosis, assessment and management in children younger than 5 years, pdf. Issued: April 2009 NICE clinical guideline 84. Interpret symptoms and signs taking risk factors for dehydration into account (see 1.2.1.2). 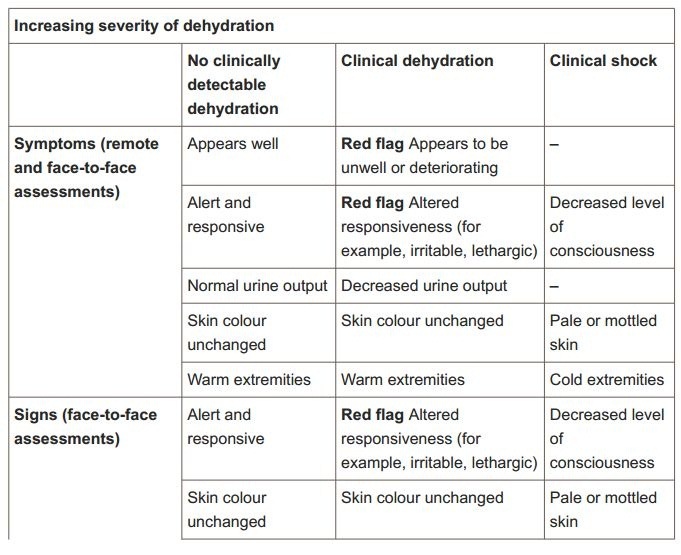 Within the category of ‘clinical dehydration’ there is a spectrum of severity indicated by increasingly numerous and more pronounced symptoms and signs. 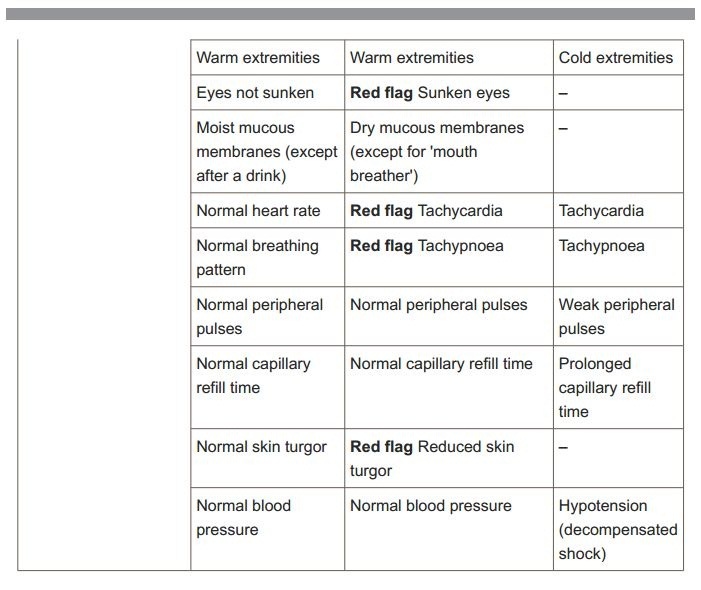 For clinical shock, one or more of the symptoms and/or signs listed would be expected to be present. Dashes (–) indicate that these clinical features do not specifically indicate shock. Symptoms and signs with red flags may help to identify children at increased risk of progression to shock. If in doubt, manage as if there are symptoms and/or signs with red flags. This entry was posted in Emergency Medicine, Pediatrics. Bookmark the permalink.